The endangered North Atlantic Right Whale utilizes the Atlantic Coast off Georgia and Florida as calving grounds. Volunteer spotters, living in high-rise beachside condos, report right whale sightings to track the whales’ movement and behavior patterns along the Atlantic Coast in an effort to determine migration characteristics of these highly endangered marine mammals. 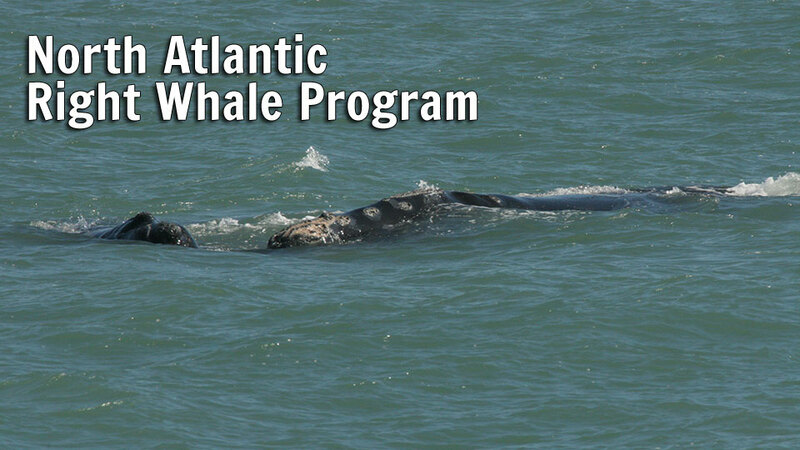 In this November 19, 2014 presentation at Florida Atlantic University’s Harbor Branch Oceanographic Institute, Julie Albert, Coordinator, Northern Right Whale Sighting Network, discusses why the North Atlantic right whale population is so small and how important shoreline users are in protecting them in their only known calving ground. Thank you for joining us to learn about right whale history, biology, reproduction, feeding habits, migration, and how you can help ensure that mothers and their newborn calves return safely to their northeast U.S. feeding and breeding ground in the summer. Looking for more information? Download our Program Brochure (pdf). Ready to become a Volunteer Whale Observer? Go to our Volunteer Form. We look forward to hearing from you. To be the eyes, ears and voice of the northern right whale in its only known calving grounds off the Florida Atlantic coast. To cooperate with scientists and resource managers and report whale sightings to alert ships at sea in order to reduce ship collisions, the greatest known cause of death of northern right whales. To gather scientific data regarding right whale occurrence, movement patterns and behavioral characteristics in the southeast critical habitat.